I was 67 years old, diagnosed with stage 3 esophageal cancer. I was sent to the cancer institute. The tumor was at the juncture of the esophagus and stomach. The regimen was 28 radiation sessions and six chemotherapies. Although the tumor shrank, it was not enough. I was operated on in September 2014. It is now April 2019. No metastasis whatsoever. I developed a twisted esophagus so I have eating issues. I virtually vomit almost everything I eat but get enough sustenance. My dear man is still here 2 years, 7 months since his diagnosis of stage IV esophageal cancer. He's been through the standard of care and is now in his second clinical trial (immunotherapy). It has been hard. So hard. We have been fortunate that his health, other than cancer, is good. The side effects of treatment have been mild to horrible. The loss of quality of life continues, losing one little thing at a time. He has no sense of taste or smell. But, he still does the NY Times Sunday crossword and still has a sense of humor. The neuropathy in hands and feet has been a challenge. We have done so many things over the past few years. We've travelled and laughed and shared our feelings like never before. I have had to pick up the slack when he can't. But, I find that I can do that. When we were first diagnosed, we found nobody who was alive with stage four esophageal cancer after a year. We've doubled that and he is not near death. I expect we'll make it to three and beyond. Love and luck to all who seek information about this aggressive cancer. My dear man was diagnosed with stage 4 esophageal adenocarcinoma in June 2015. He's still here. His cancer is HER2 positive, which means that he can take Herceptin. In fact, that's all he has been taking for some months since the original chemotherapy caused severe neuropathy and he decided to discontinue it. He's still working (brain work) and we're still traveling and anticipating the birth of our first grandson. We know that the prognosis is not good. We continue to love and live; for as long as we can. I have been dealing with cluster headaches for 23 years now. I get them on the right side, with excruciating pain in my right eye, tearing, nasal running, and the entire right side of my face droops. I experience them 2 to 8 times a day but mainly at night. I have tried a lot of different treatments and here's what works for me; 12 to 16 ml of 100 percent oxygen from an E-tank, verapamil, prednisone and injections of Kenalog, a steroid. The prednisone and Kenalog lessen the headaches and it only takes 10 minutes of oxygen for the headache to subside. Best wishes to all of my cluster head friends! I was in a motorcycle accident, it was an occurrence due to failure of the rear tire while making a turn on a residential street. I basically did a full body slam on my right side onto the gutter, curb, and sidewalk with the bike slamming down on top of me resulting in a dislocated shoulder, and taking a thirty mph punch to the abdomen by the curb into soft area between the ribcage and pelvic area. I am very lucky nothing was broken or ruptured, however I had massive bruising that upon dissipation resulted in a very large hematoma over my right hip at the belt line. It has been six weeks and I see no shrinkage as of yet. I have been told that nothing can be done. I really need some sort of idea how to make this thing go away, it has increased my waist size from 34 to 44 on one side. If I find a solution I will post again. My dad early November had an esophagectomy, and he is still very weak. The problem is that he has this awful cough. He his sleeping upright as he now has an electric bed and doesn't eat after 6 am. He cannot gain any strength due to this continuous cough. It is worse at night between 3 am and he continues coughing nonstop for hours. We also got a humidifier for his bedroom. After spending a day at the beach with friends, eating salty grilled meats, not hydrating properly, my wife woke up with severe benign paroxysmal positional vertigo, BPPV. Fortunately, we had just been talking about it at the beach when one of our friends successfully treated himself with the Epley maneuver. After a visit to her doctor, who did the maneuver, and several successive home treatments by myself, having learned the treatment on YouTube, and watching her doctor, her vertigo passed in a day or two, then returned for a few weeks, then passed for good! Do the Epley, don't give up, it works! It was 13 days after my 26th birthday when I was scoped for my cancer. I had cancer in the gastroesophageal junction where the stomach and esophagus meet. It was diagnosed in stage 4. They told me I had 8 months to 1 year to live and they would only give me chemotherapy. That was 3 years ago. I am now 29. I was the youngest patient that they had ever seen with this type of cancer. My oncologist said that with stage 3 L2 staging of esophageal cancer that my 3 year survival rate is over 50%. I'm going through mild chemotherapy and radiation, followed by surgery. A strong will to live offers the best chance to eliminate this horrible disease. My lifestyle is going to change forever, not necessarily for the better either. My son has stage 4 esophageal cancer with metastasis to the liver and lymph nodes. I am looking for hope. My father was diagnosed with stage 3 esophageal cancer (tumor in junction of stomach and esophagus) and I am curious to learn what treatment plans and drugs have other people with this disease received. My dad got 5 weeks of carboplatin 50 mg and paclitaxel 30 mg once a week and 5.5 weeks of daily radiation. We will re-test in a few weeks to learn if the treatment worked and if the cancer has not metastasized he will be scheduled for a gastro-esophagectomy. My husband was diagnosed with squamous cell cancer of the esophagus stage 3 in June 2010. He had radiation and chemotherapy prior to his esophagectomy in December 2010. He has had many side effects from the chemo and radiation. As of today he is cancer free! He has experienced blood clots, kidney stones, nausea, and vomiting. But the biggest most painful side effect has been the neuropathy in his feet. He is in constant pain. He has had every type of narcotic, pain patches, physical therapy, to no avail. We are now considering the neurostimulator to be implanted. My husband was grossly overweight, had reflux and began having problems feeling as if had something stuck in upper esophagus and not able to belch, he was diagnosed with T3L1 (stage 3,1 lymph node involved)esophageal cancer, he had extensive surgery after 6 weeks chemo and radiation, his surgery was 8.5 hours long, 88 lymph nodes removed, esophageal resection and top 1/3 stomach removed and in Jan 2012 will be 5 years since surgery. He is doing great, and keeps his weight in check as cancer loves fat cells. I had huge surgery 9 years ago 2002 for Stage 2 Esophageal Cancer with Radiation and Chemo prior to my operation. I was 51 years old when diagnosed with no history of smoking or alcohol use. I do have Celiac Disease. Since my surgery I have never looked back, am following a strict gluten-free diet and feel wonderful. This disease can be beaten with an early diagnosis and a highly skilled surgeon. My cancer was due to having spasm of the esophagus and although the doctors told me that I would not get cancer the pain I encountered in the upper part of my neck and in my back, as well as not being able to swallow told me otherwise. I went for a second opinion after suffering for two years and the biopsy showed abnormal cells which three months later turned cancerous. So if you suffer continually like I did keep going to the doctors and having tests it could save your life. It is now 3 years since my operation and I find that if I take tablets to reduce acid being produced both morning and night I do not have much trouble with acid in my throat. I still have intestine pains after eating but this is normal as I do not have as much serotonin in my stomach to control digestion as everyone else. Who cares though I am still here even if my insides are different. My mom was just diagnosed at age 71 with stage 3 esophageal cancer at the junction between the esophagus and stomach. She was asymptomatic. They found it after a food poisoning incident and running tests. She is doing chemotherapy/radiation and surgery in 6 weeks. Her surgeon is very blasé about this process and assumes everyone would want to do this because it won't go away by itself. I worry that this will all be for naught because the surgery looks incredibly risky and dangerous. We are in a good area for the surgery however, a large metro area with great hospitals, but you just never know how things will play out. My brother has had cancer in several areas and after chemo and radiation he was free of cancer a few months ago. He went for a check-up 2 months ago and has now been diagnosed with stage 3 esophageal cancer. He went to the Cleveland Clinic and was told by more than one doctor that surgery isn't an option for him because of his heart and lungs. He was burned by radiation so terribly that he has opted out of it again. He has been told he will not survive for too long without surgery, which can't be done. Since it is stage 3 in a matter of a couple months I just wonder how long he will be with us. He has talked to his children already and is living his remaining time enjoying the grandkids as best as he can. I think prayer is all we have now. I was diagnosed Stage 3 in 2010 at age 66. It was adenocarcinoma and the only symptom was pills getting stuck occasionally. I had 6 weeks of chemo and daily radiation prior to the 9-hour Ivor Lewis gastroesophagectomy. I spent 4 months in the hospital on a feeding tube afterwards, lost 30 pounds (I began as a size 4 and now I'm size zero), but have had 8 clean PET scans since three years ago. My husband was told on 2/22/12 that he had esophageal cancer and would need to have radation and chemotherapy done. They put his Port in and he started his treatments. He had these for 8 weeks and he asked his doctor when he would be having the surgery. His doctor told him that all of his doctors had to get together and discuss it and for him to go see his radation doctor and they would get in touch with him. Two days later my husband went to the ER because he hadn't had a bowel movement in 2 weeks. My daughter and I took him 3 times before the hospital finally put him in. They ran tests on him and discovered that my husband's tumor had grown and that he had more masses. My husband was told he had 2-3 months to live and they put him in hospice care. My husband passed away on 5-1-12. I asked his doctors how this happened and why they didn't see that the treatments were not working. They could only say they don't know. What really hurts is, my husband had always said he wouldn't take treatments if he was told he had cancer. He did this for his family. Our daughter was expecting and he so wanted to meet his granddaughter. He never got a chance to meet her. I just hate that he had to go through the treatments that made him so sick after each one. He not only had the treatments at the cancer center, he had chemotherapy 24/7. My husband, age 63, was diagnosed with stage 3 esophageal and stomach cancer in September 2012. His initial symptom was a change in his voice. He thought he was getting a cold. His primary care doctor found all blood work normal and referred him for endoscopy and that's how the cancer was found. He's had no major symptoms with 6 of weeks chemotherapy and radiation. He drank tablespoons of aloe vera juice before naps and bedtime, which greatly helped. He's been given blender drinks with Boost and vegetable juicing for nutrition, no tube feeding. His scan in January 2013 shows he is cancer free and may not need surgery. My husband was diagnosed with stage 4 esophageal cancer. His tumor is at the junction between the esophagus and stomach. Because the cancer had already spread to the liver, surgery to remove the tumor could not be done. Instead, a stent was placed at the junction making eating and swallowing easy. Unfortunately, now he has no sphincter to control acid reflux. He is on medication (dexilant and carafate), and we have followed the advice for people suffering with heartburn. However, since he has no sphincter to stop the acid, he suffers whether he eats or not. I am 63 years old and in June 2012 was diagnosed with esophageal cancer. 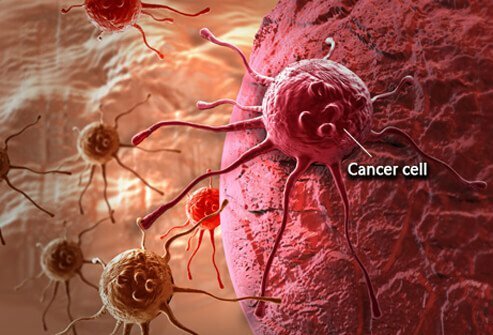 A tumor was discovered in the lower esphagus and after tests it was determined that the cancer was squamous cell but the tumor was not in a typical location for squamous cell cancer. I elected to undergo surgery on July 2 2012. Most of my esphagus and about 1/3 of my stomach was removed. The pathology report indicated that all cancer has been removed including margins and lymph nodes. I had no major symptoms before surgery and cancer was diagnosed after I had an upper scoping for acid reflux and atypical cells were noted. I am fortunate it was caught early. I didn't have the normal symptoms at first. I had a cough I couldn't get rid of and then food started getting stuck. I had had an endoscopy the year before for A Gall Bladder removal that didn't show anything. In September, 2010, they found a 1.5 CM tumor at the base of the esophagus, stage 3 cancer. The doctors didn't waste any time. I underwent 18 radiation treatments and two weeks of intense chemotherapy. I had lost 60 lbs and had to regain weight before surgery in January, 2011. I underwent three more chemotherapy treatments and have been cancer free since. I have another scan this month, but the prognosis is full recovery. There is hope. My husband diagnosed with Stage IIIA (upper left lung tumor wrapped around pulmonary artery so inoperable)June 2011 (went in thinking had pneumonia as daughter had weeks before ... x-ray made them question about TB, then got CT scan, then lung biopsy), given 6 - 9 months probable life span with no intervention. He began chemo and radiation in July, ended 2 rounds of chemo in Sept and radiation a few weeks later. Tumor was shrinking. Now (6/12) the tumor found to be growing again. Time for Chemo round 2 ... still inoperable. Any suggestions? Should we look at a 2nd opinion? P.S. Positive attitude, love, and laughter helps! My husband was diagnosed with adenocarcinoma Esophageal cancer stage 3 in June 2009. He had never smoked a day in his life. He did work in a petroleum refinery for over 30years. Because he had adenocarcinoma they said that his cancer was not caused by abestoses, but I will never believe it. Since his diagnosis there has been 2 other diagnosis with co-workers from the same department. They were exposed to asbestos. My husband was diagnosed with Stage 4 esophageal cancer in Jan 2010. He had very vague symptoms, weight loss, difficulty swallowing, feeling like food was getting stuck lower esophagus, side pain occasionally. He had tumors in his liver and the lumps that he felt was what sent him to the doctor. Biopsy of liver done and then UGIE to find primary site. he had one round of chemo which dehydrated him , sent his blood sugar to over 1000. He expired Feb 2010 of dehydration related to chemo. Five years ago today I had an esophagectomy for stage 3 adenocarcinoma type cancer. The entire esophagus and 1/3 of the stomach was removed. My prognosis is good thanks to the professional care I received. I was diagnosed in January 2010 purely by accident. I had reflux for years and when I told my doctor it was getting worse, he told me to take another pill. I was sent to a doctor for a balance problem and he took one look at my throat and told me I needed to get a scope done. I had a cancerous tumor at the lower part of my esophagus and was operated on April 16th 2010. They removed my esophagus and stretched my stomach up to make a new one. The surgery and recovery were horrible but I'm happy to say I'm doing very well. I was diagnosed at stage 1 and consider myself a lucky gal.